How many phone numbers do you know? I bet a lot fewer than you did 10 years ago, since they’re all stored in your Contacts and you don’t have to remember them. When was the last time you went inside a bank? I bet that’s been awhile too, since most of us now bank online. In fact, the list of what we don’t use our phones for is probably shorter. But what happens if you lose your phone? With so much personal information accessible to whoever finds it – never mind the expense of replacing it – it’s important to find that phone as soon as possible. Fortunately, smartphone providers are people who have probably also lost one or two things in their day, so they recognize the importance of finding your phone quickly and easily. Here’s how the three main mobile operating systems handle a lost device. Every iPhone has “Find My” services integrated into the phone, enabling you to track your phone through iCloud. Simply enable “Find my iPhone” in your iCloud settings (Settings>iCloud>Find My iPhone) and should you lose the phone you can lock, locate, and even wipe the phone remotely. To track the phone, use the “Find My” app or go to the iCloud website, log in with your Apple ID, and click on “Find My iPhone”. Devices are displayed on a Google Map so you can simply click on your phone’s dot to put the phone in “Lost Mode”. From there you can set a new password to prevent access or choose to enter a custom message for anyone who finds the phone. Even if the individual does a factory reset, the message remains and the phone can only be unlocked by using your original Apple ID and password. Lost Mode also activates a tracking history so you can monitor the location of your phone while you look. The Play Sound button will activate a two-minute tone on your phone, which is convenient if you know the phone is nearby but can’t remember exactly where you left it. If all else fails and you can’t find the phone, you can remotely erase all data, leaving only your contact information and a brief message displayed for anyone who finds it. Google’s Android Device Manager allows you to track your lost phone without an app as long as the phone is powered on, connected to your Google account and has access to the Internet. Go to Android Device Manager on your computer, log in with your Google ID and the location of your device will be displayed on a Google Map. At this point you can choose to have the phone ring or erase all data, returning it to Factory Settings. You can also track your phone via Google Maps. Log in with your Gmail account, select the day that the phone went missing and a list of the phone’s locations for that date are displayed. Click “Show Time Stamp” at the bottom of the calendar, choose the latest time and the map will zoom in to that location. Android users also have the option of remotely installing the “Lost Android” app if it wasn’t installed before the device was lost. Search for the app in the Google Play store, click Install, select the device and click “Okay”. Next, send a SMS with the text “androidlost register” to your phone. Go to the “Android Lost” website and login with your Google ID. Select “View Map” and the location of the phone is displayed. As a last resort you can erase the phone and wipe all data, resetting your phone to its original factory settings. Find My Phone is the Windows solution to tracking a lost phone. Go to the windowsphone.com website and login. In the My Phone menu, click on Find My Phone and follow the prompts in the dialog box. If you think the phone is nearby in a pocket or stuck between sofa cushions select “Make it Ring”. If you can’t hear it or the map displays that the phone is further away than you thought, choose “Lock”. If you don’t already have a password on your phone you’ll be instructed to set one up. You can leave a message with contact information for anyone who finds the phone, and once it’s returned, you can unlock it with the password you’ve set. As a last resort you can erase the phone. Note: Choosing erase returns the phone to Factory Settings so you’ll no longer be able to use “Find My Phone”. If you have your phone’s IMEI (International Mobile Equipment Identity) number you can call your service provider and ask them to track your phone. The number is unique to the phone even if the SIM card is replaced. Even if they can’t locate the phone they’ll be able to block access and prevent anyone else from using it. Keep in mind many service providers like Verizon offer apps specifically created to help find a lost phone. Verizon Support & Protection, an app available to Android and iOS smartphone customers who are subscribed to Verizon Total Mobile Protection is a great example. The basic version is free for Verizon customers and the Premium version is $10 a month. As with many situations, a good offense is the best defense. Be proactive by ensuring features like “Find My Phone” are enabled on your device and start tracking as soon as you realize your phone is missing to minimize the risk of your data and personal information being compromised. We’ve all heard anecdotal stories like the one about the woman who lost a promotion when her disparaging comments about her employer were seen on Twitter, or the guy who wasn’t hired because photos from Spring Break ’08 showed up in a Google search. According to CareerBulider.com, 75 percent of employers utilize search engines like Google before hiring someone. The most common reasons for potential hires being rejected ranged from talking about drinking or drug habits to bad-mouthing previous employers. The prospect of going back years or through hundreds of pages of a Google search to clean up your online reputation can be overwhelming. Companies like Outspoken Media and Firefly Digital Marketing have built their businesses on helping individuals and companies curate their online presence not only for optimization but for reputation as well. One start-up – BrandYourself.com – will clean things up for less than $100 a year. All roads lead to Rome and all searches start with Google. Well, all roads may not lead to Rome these days but Google is far and away the most commonly used search engine. Sign up for Google Alerts to be notified any time new content about you is published to make it easier to monitor what’s out there. Be mindful of where that content ranks. An average of 85 percent of people click on links on the first page of a Google search but the number drops exponentially to 10-12 percent for page two and all the way down to 3-5 percent for page three. If what’s posted on page one – regardless of whether it’s true – is negative, it won’t matter that the positive content is on page four or five. Anything past page three is pretty much the online reputation equivalent of the Sea of Tranquility. Create and control your own domain name. In other words, if you can’t remove it, bury it. Pete Kistler, co-founder of BrandYourself.com learned the importance of burying negative content when he discovered there was another Pete Kistler showing up in Goggle searches of his name. The problem? The other Pete Kistler was a convicted drug dealer. So, Kistler seized control of his name by creating positive, original content, as well as multiple websites which ultimately drove the other Pete Kistler further down in search results. You can buy domain names for as little as $12 a year from sites like GoDaddy. That’s money well spent if it’s putting you in the driver’s seat. Make the most of social media. Aggregate your accounts by utilizing a social media manager like HootSuite or TweetDeck. Social Media Management Systems (SMMS) consolidate your accounts into a single dashboard instead of having to log in to individual accounts. From here you can schedule content, monitor mentions, and track keywords. Be proactive and reactive. Seize and maintain control of your social media profiles like Facebook, Twitter, and LinkedIn. Consider separate accounts for personal and professional use. No doubt you’ve put effort into developing your professional reputation and you don’t want it damaged because of content that has been posted without your consent. 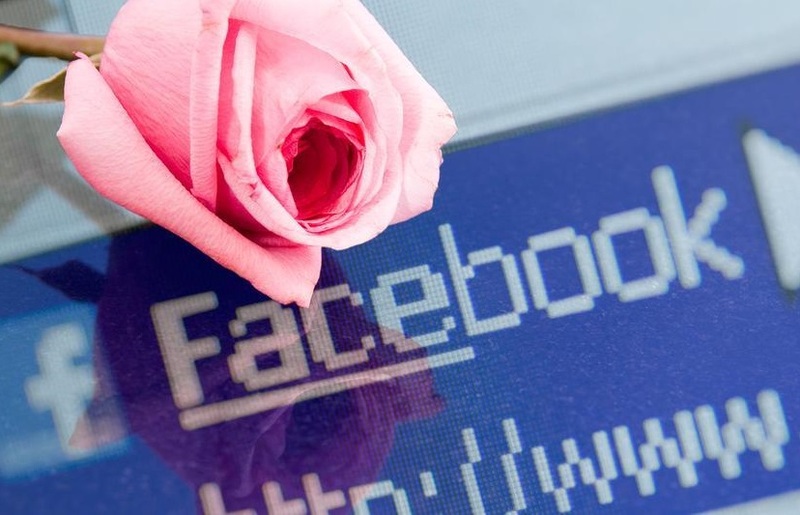 It can happen as simply as being tagged in a Facebook photo by a family member or friend. By keeping separate accounts you lessen the risk of the two world’s colliding. If it does happen, and you want the content removed, act quickly to mitigate the impact. Ask that the content be taken down and if that doesn’t work contact the site manager for assistance in resolving the issue. Blog Blog Blog. Fact: blogging attracts more traffic than static websites and is a great way to curate your brand and your reputation. What better way to demonstrate who you are than by creating the content yourself? Blogging forces you to be mindful of the content and that mindfulness will spill over into your other social media accounts. Seed the blog with keywords and tags to improve your search engine results and drive it to that coveted page one of Google. Finally, remember this: The best kept secret is that nothing is secret. Don’t assume privacy settings will protect you – any wall can be breached. It’s a cliché but if in doubt, leave it out. The blowback could be as simple as hurt feelings or as complex as a libel suit. Oh the things that we find when we clean up a mess! Oh the things you will find are often the best! Or stories and pictures by Theodore Geisel! Okay, that last rhyme was a stretch but I like to think my attempt at rhyming would be appreciated by Dr. Seuss himself. While clearing out his disused office in 2013, Geisel’s wife found a box of manuscripts and illustrations she had set aside years ago. Now, the Dr. Seuss foundation has announced a new book coming our way in July called What Pet Should I Get? That’s great news for Seuss fans like me and apparently I’m not alone – currently three of his books are on USA Today’s best seller list: Green Eggs and Ham (#16), One Fish, Two Fish, Red Fish, Blue Fish (#19), and The Cat in the Hat (#35). 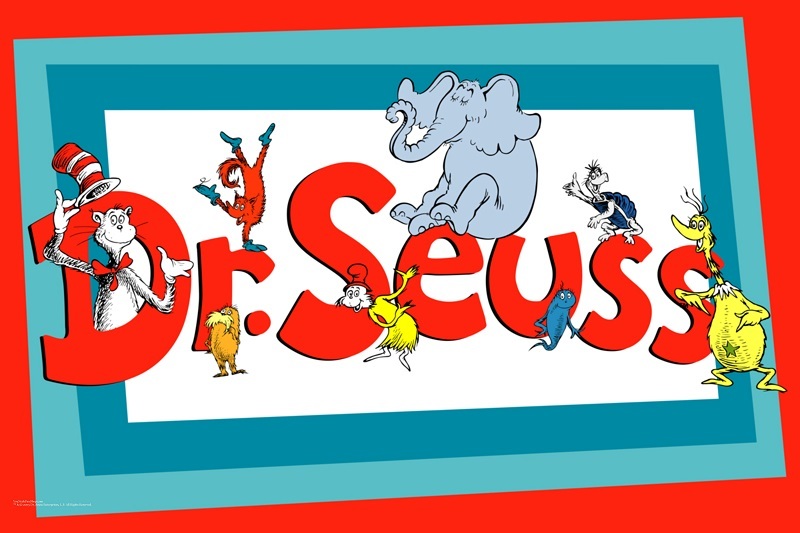 In honor of this news, and the fact that Dr. Seuss’s birthday is just around the corner on March 2nd – he’d be 111 years old – here’s a list of my favorite Dr. Seuss apps for the iPhone and iPad. 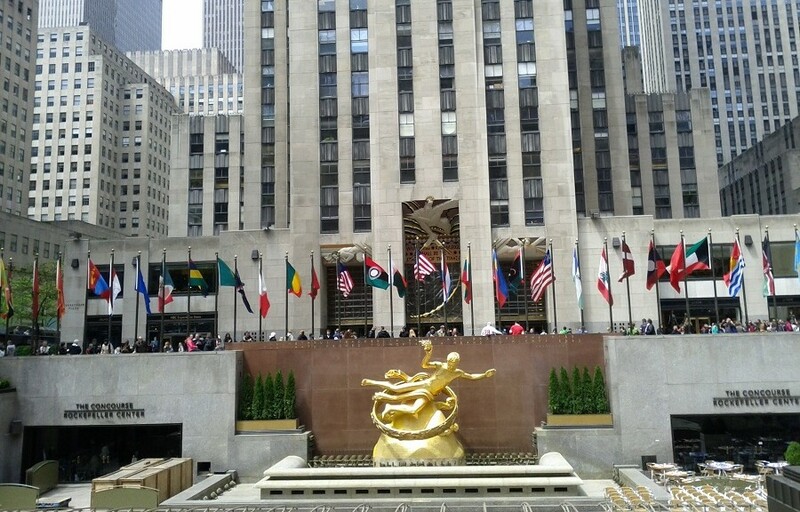 Verizon FiOS: Live from New York! Join @mistygirlph @theonlinemom and friends TODAY live from the NBC Studios at Rockefeller Plaza as they explore the different ways we can enjoy our favorite TV shows and movies! 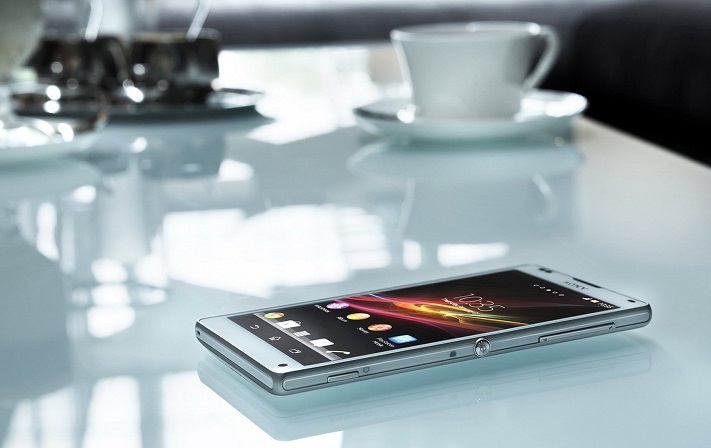 RSVP and attend the chat and Video Recap for a chance to win a Sony Xperia Z2 Tablet! Join us on TweetDeck or HootSuite (#LifeOnFiOS) today between 3:30 – 4:30 pm ET. Join @RobynsWorld @theonlinemom @geekbabe and @thetechdad TODAY at 3 pm ET (12 noon PT) as we chat about Planning Your Vacation! Spring is finally here and it’s time to start planning those much-needed get-aways. And whether it’s a weekend hike or a luxury cruise, your smartphone or tablet can help. Join us as we look at the best apps for planning and organizing your trip, as well as the mobile tools that will make sure you have the best vacation ever! RSVP and attend the party for a chance to win a Motorola Moto X smartphone or a Motorola Power Pack portable charger! Join @TheOnlineMom and special guest @barblikos on the Video Recap right after the chat for another chance to win a Motorola Moto X smartphone! If you’re a new iPhone user, transferring email, contacts and your calendar is as simple as adding a new account, or you can use an app like Copy My Data. Photos, videos, books, music and documents are easily transferred as well. The one thing that won’t transfer is your apps but not to worry – many of the same apps are available for iOS that you loved on your Android phone. In fact, one of the perks of being an iPhone user is that new apps are often introduced before they are available for Android devices, and some stay exclusive to the iOS platform. 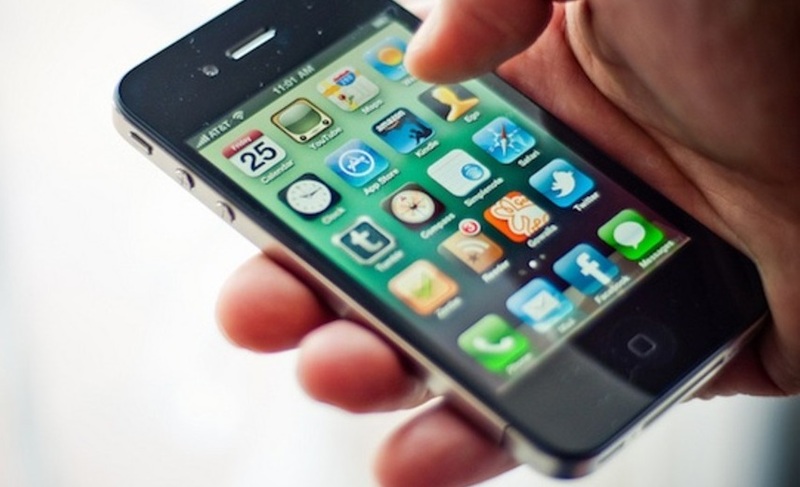 So if you’re new to iPhone, these are some of the best apps for new users. Many of these are likely to be familiar to you and others are iOS exclusive, but best of all – they’re free! Facebook Paper is designed to make your feed have more of a magazine or newspaper feel. Designed specifically for the iPhone (no iPad version), content is posted in a grid so it doesn’t feel as cluttered and is easier to read. Content isn’t limited only to what’s been posted by your friends but is curated by a team of Facebook staff to include what’s trending across social media. The Spotify streaming music service allows you to search by artist, album, genre, playlist, or record label to create custom playlists of your favorite music from a vast catalog. Accounts can be integrated with your Facebook and Twitter accounts and premium accounts are ad free. Spotify radio lets you choose by decade or genre and, unlike Pandora, you can skip as many tracks as you like. Onavo Extend works in the background compressing incoming images to help limit your data use. The app automatically turns itself off when Wi-Fi is available and tracks data usage so you can see what apps or activities are using the most data. It’s especially convenient if you travel outside the U.S. when every mega-byte counts. Pocket allows users to save articles or webpages to a list that can then be read later offline. Pocket syncs across devices so an article you saw on your phone during your morning commute can be read later on your laptop or iPad. Brewster combines all your contacts from across your networks into one address book. You don’t have to download an app – simply authorize Brewster through your Google or iCloud account and contacts will automatically be synced. Now when you start to type in an email or text, Brewster will auto-fill the field based on your contacts. SwiftKey is an onscreen keyboard that intuitively picks up on your commonly used words, typos, and even the emojis you use most often. Sign up through Facebook or Google Plus and the app discerns your writing style based on your posts and email. The more you use it, the more accurate and customized it gets. Flipboard follows the trend of magazine style layouts to provide users with an uncluttered view of RSS feeds and social media pages. Create an account with Flipboard, then choose which social media account you want to pull content from. Choose from Facebook, Twitter, LinkedIn, Tumblr, Instagram, Google+, and YouTube. You can customize the layout and create a “magazine” of preferred content. 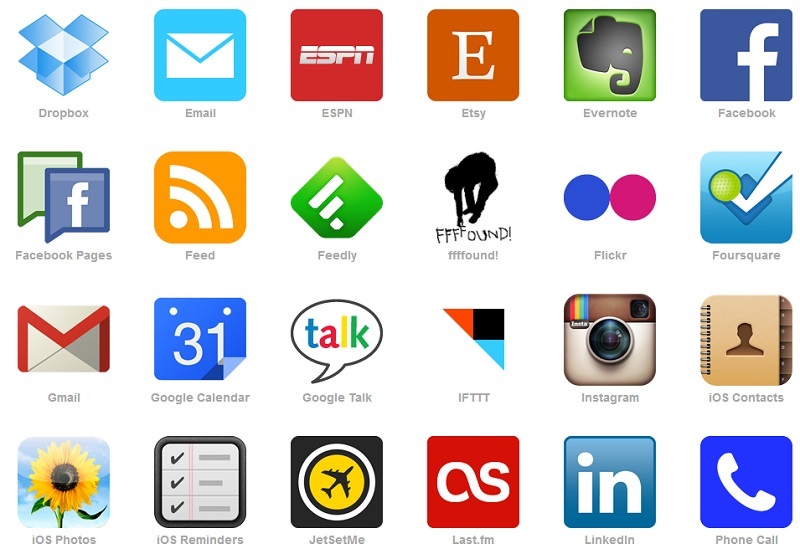 Of course, apps like DropBox, Google Maps, Skype and Evernote have virtually become smartphone essentials. Needless to say, with over 1.2 million apps available, you’ll have no trouble making your new iPhone unique to you. There was a time when last minute Valentine’s Day gifts meant a single rose in a plastic tube or a tiny teddy bear and a mylar balloon with “I Love You Beary Much” stenciled across it. They all carried the sweet smell of gasoline and coffee – the scent of the gas station where they were purchased on the way home from work. Thankfully, those days are over. Say goodbye to dusty roses and faded teddy bears, now you can order everything from couples massages to an at-home feast straight from your phone. 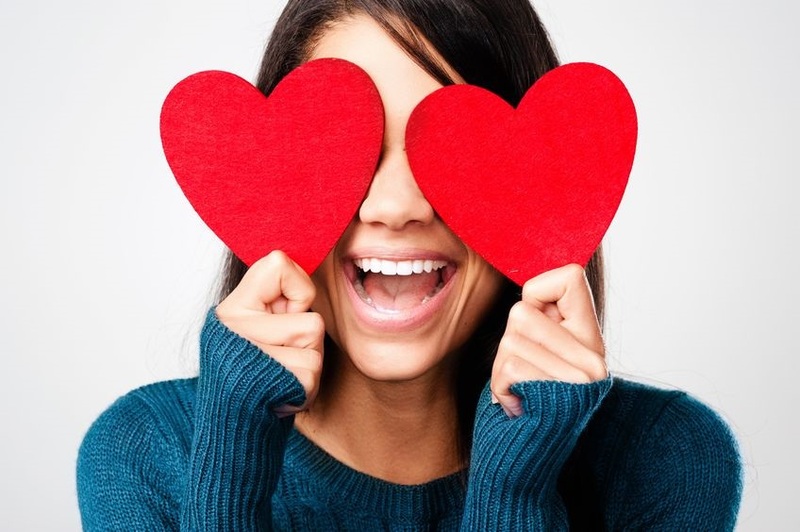 Skip the flowers and candy and surprise your Valentine with one of these sweet gifts. OpenTable searches restaurants near you and lets you know which ones have open reservations. You can search menus and make a reservation straight from your phone or tablet. LocalEats focuses its search on smaller restaurants in your area, allows you to make reservations (through OpenTable) and even order a cab. If you can’t get the reservation that fits your schedule, bring the food to you. Ordering in isn’t limited to pizza or Chinese anymore. Many restaurants offer carry out service and apps like Eat24 and GrubHub search nearby eateries, allow you to choose your cuisine, order and pay all from within the app. Consider a spa package for him or her. SpaFinder gift cards are good at over 20,000 locations so chances are there’s one near you. Cards are valid not only for pampering services like manicures and massages but also for yoga, spinning and other fitness classes, or can be used toward a spa vacation. Another fun option is to go with a monthly subscription to a service like Pop Sugar’s “Must Have Box”. For $39.95 a month, recipients have a box filled with an assortment of sample and full-size fashion, cosmetic, beauty, home décor and wellness products delivered to their door. Birchbox offers a similar service but focuses on high-end beauty and lifestyle products. Because you’re getting samples instead of full-size products the cost is lower, but it’s a great opportunity to try more expensive brands at a reasonable cost. Birchbox also offers a men’s version with 3-4 grooming samples and a full sized accessory like a bar tool or headphones. The women’s Birchbox is $10 a month or $110 a year and for men the cost is $20 a month or $195 a year. If you really want to impress your sweetheart, get them a Barkbox for their four-legged friend. Every month their pup will receive four or more items ranging from toys and treats to hygiene products and gadgets. Even better, 10% of the profits go directly to rescue organizations, shelters, and volunteer training. Boxes start at $19 a month. How sweet is that? If your Valentine is a techie, Verizon Wireless has great deals on last minute gifts like phones and tablets, Fitbit wristbands and Beats headphones. Go even further and add a subscription to a streaming service like Netflix, Hulu Plus, Spotify, or Rhapsody for the music and movie lover in your life. For book lovers, gift cards to Amazon, iTunes, Barnes and Noble and Audible are a guaranteed hit. Or, simply buy them an app. Seriously. There’s an app for every budget from 99 cent games like “Heads Up” all the way up to VIP Black app (also known as the “The Millionaire’s App”) to the tune of $999.99. So there’s no need to panic. With so many great options in the palm of your hand, this could be your best Valentine’s Day yet!